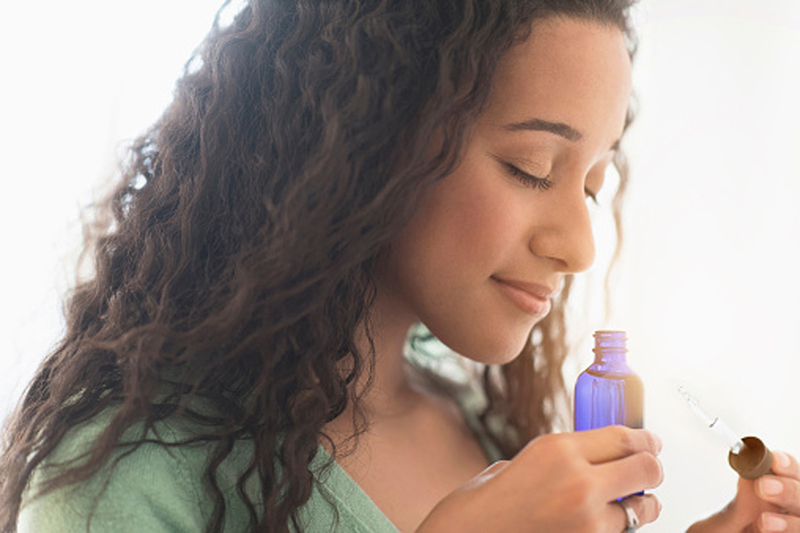 All essential oils are highly concentrated, volatile, aromatic liquids that are purely extracted from the fruits, seeds, flowers, barks, stems, roots, leaves or other parts of a plant. However, there are specific ways to use them, say experts. * Lavender essential oil: Well-known for its soothing, calming properties, lavender is wonderful for accelerating healing time for burns, cuts, stings, and other wounds. Its specific properties include being an analgesic, antifungal, antiseptic, sleep-inducing and disinfectant. Put a few drops on your pillow just before going to bed for a clam and sound sleep. Mix 1 or 2 drops with coconut oil to soothe occasional skin irritations. Add 2-3 drops with olive oil for nail care. * Rosemary essential oil: This oil is colourless to pale yellow oil with a herby aroma. Astringent properties of this oil cleanse, hydrate and rejuvenate skin, making it firm and gorgeous. It helps with wrinkles and under-eye bags as well as conditions damaged skin and lighten scars. Its anti-inflammatory properties are useful in reducing swelling and puffiness of skin as well as in healing burns. Mix rosemary essential oil with any carrier oil before applying on hair and skin and massage gently. For hair growth, add 4-5 drops of the oil in 1 tsp of coconut oil. Mix this until it reaches a smooth consistency and evenly apply onto your hair and scalp. Leave it overnight. Wash off with lukewarm water and pat dry your hair without using heat. * Ylang Ylang: Known for its unique floral aroma, ylang ylang essential oil was used as a natural hair growth remedy in Victorian England and has continued to be used to treat fine and limp hair. Add 2-3 drops of the oil to coconut oil for a deep hair conditioner. Put it into an Epsom Salts bath for relaxation. * Tea tree: Antibiotic, anti-fungal, antiseptic, expectorant and antiviral, it is often used to inhibit viral and bacterial infections. It can even be used to kill insects, protect a wound and expedite the healing of a scar. Mix it with any carrier oil before applying on hair and skin. Massage gently. Do not apply directly to hair or skin. Add 2-3 drops to olive oil for lip care. Diffuse to get clean and refreshed surrounding aromatically. For acne, mix a few drops of the essential oil and 2 teaspoons of aloe vera gel. Apply to the affected area. Leave for 3 to 4 hours or overnight for better result. Rinse with water and pat dry. Repeat regularly for effective results. * Eucalyptus: This oil helps to improve respiratory issues such as sinusitis, bronchitis and allergies. It has the ability to reduce congestion and improve mental clarity as well. Eucalyptus contains a number of important properties, including antibacterial, anti-inflammatory, antiseptic and antispasmodic, and serves as a decongestant. You can add a few drops to a hot bath. The steam and the aroma will relax the mind and body. As eucalyptus oil isn't water soluble, mix it with half teaspoon bath salt of choice before adding it to water. * Peppermint: The invigorating and fresh mint aroma of the peppermint essential oil works to stimulates the mind and clear the sinuses. Use a drop of it with lemon in water for a healthy, refreshing mouth rinse. Rub one drop of the oil on the temples, forehead, over the sinuses (careful to avoid contact with your eyes), and on the back of the neck to relieve head pressure. Mix it with any carrier oil before applying on hair and skin. Massage gently. Diffuse to get energised and increase alertness. For clear skin add 4-5 drops of peppermint oil in two tablespoons of grated cucumber and two tablespoons of green clay. Whisk the ingredients and apply the paste as a face mask. Let it dry and wash with lukewarm water. Repeat this twice or thrice a week. * Rose: This oil can be used to achieve young, healthy and moisturised skin. The delicate aroma of the oil is useful for relieving anxiety and stress. For glowing skin, add to any skin cream/lotion to enhance its effect by increasing its absorption by the skin. To treat acne, add 4-5 drops in 1 tsp coconut oil and apply thrice a day.